On our honeymoon to Maui last month, Dusty and I found a local café that had the most wonderful breakfast. After spending $60 on the resorts somewhat-decent breakfast buffet the first morning, we knew we couldn't do that everyday! After doing some digging around on the internet, I found the Kihei Caffe. 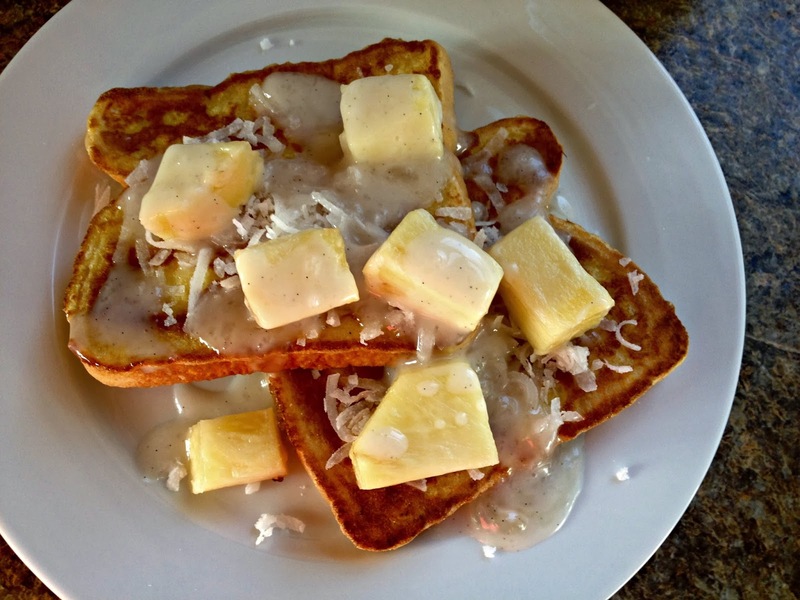 At a first glance it seemed like just a hole-in-the-wall type of restaurant, but once I was served my large platter of Hawaiian Sweet Bread French Toast with Pineapple and Coconut, smothered in Coconut Syrup, I was in breakfast heaven. Dusty and I returned to the Kihei Caffe practically every morning. I ordered this French toast dish almost every time we ate there while Dusty was more adventurous trying different things on the menu. 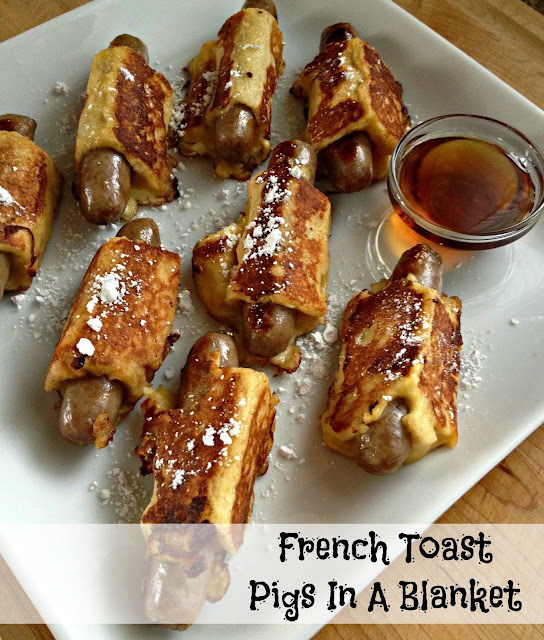 I couldn't get enough of this French Toast! While on the trip, part of me wanted to stock pile the deliciously sweet and creamy coconut syrup. But the other, more sensible, part of me knew it would be difficult to pack a lifetimes supply of coconut syrup in my suitcase, while maintaining the 50 pound baggage limit. Besides, a small bottle of that syrup cost around $8 and I thought I could definitely get it cheaper on Amazon. Wrong! I got home from the honeymoon, went immediately to my computer and looked up the syrup on Amazon. It was $12-15 per bottle! Ugh! I was not about to spend that much on a tiny bottle of syrup. Combine ingredients in saucepan and stir to combine. Bring to a simmer over medium heat, stirring constantly. Continue to simmer while stirring constantly for 8-10 minutes until sauce become thick and syrupy. Serve immediately or allow it to cool to room temperature. Store in air tight container in refrigerator. In a shallow dish combine the eggs, milk, orange zest and vanilla extract. Whisk to combine. Heat a griddle or pan over medium-low heat and melt 1 tablespoon butter. Dip the bread slices in the egg mixture and flip to coat both sides. Add the egg soaked bread to the griddle and cook for 3-4 minutes, turning the bread halfway. 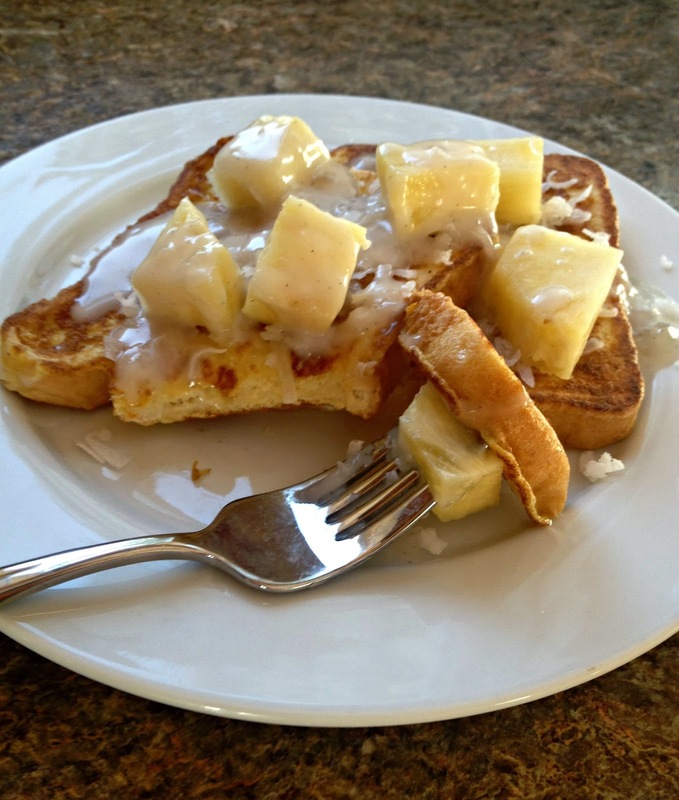 Place 2 slices of French toast per plate and top each pair of French toast with 1 tablespoon of flaked coconut and 1/4 cup of fresh pineapple chunks. Serve with homemade coconut syrup. Enjoy! 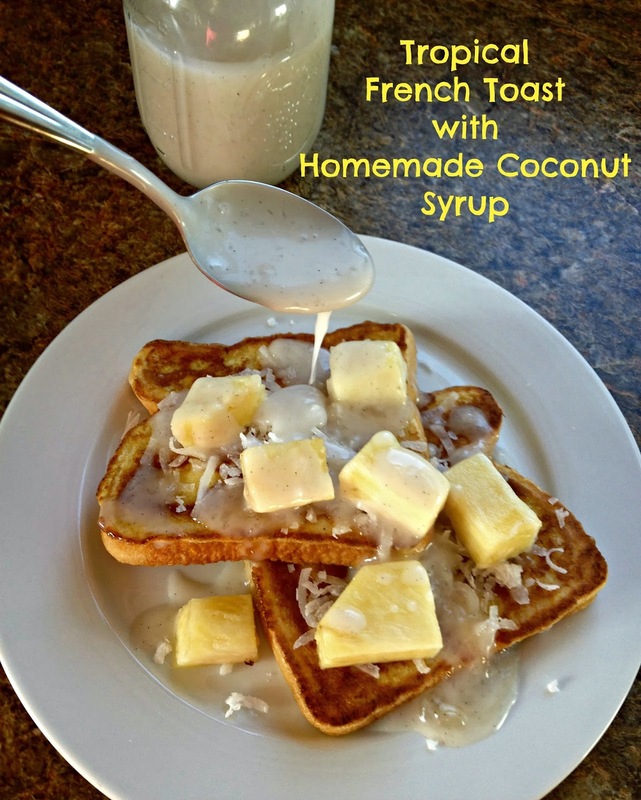 I wonder if you could make this using sweetened coconut milk, and leave out the sugar? Or even 1/2 sweetened and 1/2 unsweetened milk, since the sweetened seems very sweet to me. Any thoughts?